Ah, night shifts. The highly dreaded, anxiety fueling week that all interns dread. Well, most interns anyway. I do know of some people who actually look forward to night shifts, but I definitely wasn’t one of them. My biggest concern was staying awake through the night, especially as I don’t drink coffee. I was convinced I’d get to 3am and just fall asleep at a desk, or worse, while sitting with a patient. So I came up with a plan – eat plenty of sugar! That’s where these cupcakes came in. Ok, I’ll admit I had another motive as well as keeping my eyes open – I figured a little bribery of the other staff might help make things easier. 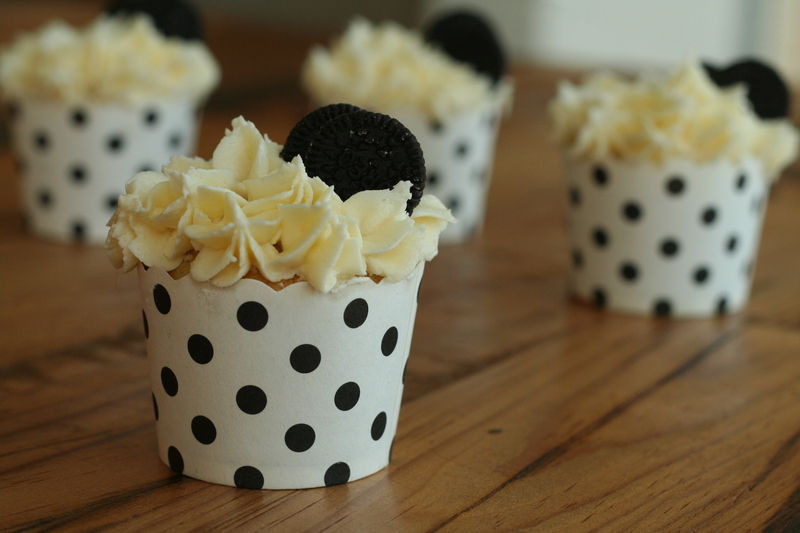 These cupcakes were born from me having a spare packet of Oreo’s and a need for something sweet. 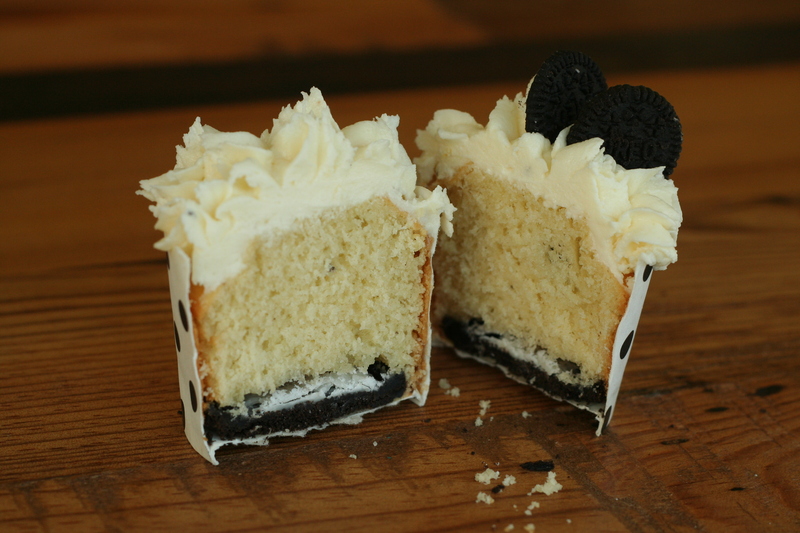 They’re a double hit of vanilla with flavouring in both the cupcake and the frosting but it isn’t overpowering thanks to the Oreo in the base and throughout the cake. To be honest I’d be keen to up the vanilla flavour a bit more using a vanilla pod but I’d run out so it they ended up fairly subtle – it’s up to you what you’d prefer to use. If you’re looking for something to make for Valentine’s day these would be perfect – and even more so if you used the pink Oreos (I think they’re strawberry?). Oh and in case you were wondering, night shift was actually great fun. I stayed awake all night, saw a great mix of patients and slept so well once I got home! 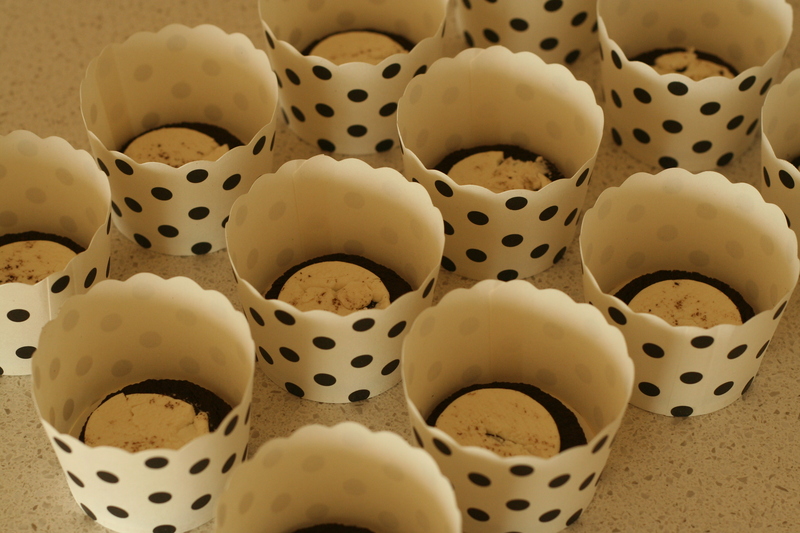 Preheat the oven to 180º and prepare your baking cups. Cream the butter with the sugar then add the vanilla essence. Beat in the eggs one at a time then sift in the flour and baking powder. Stir through the milk. 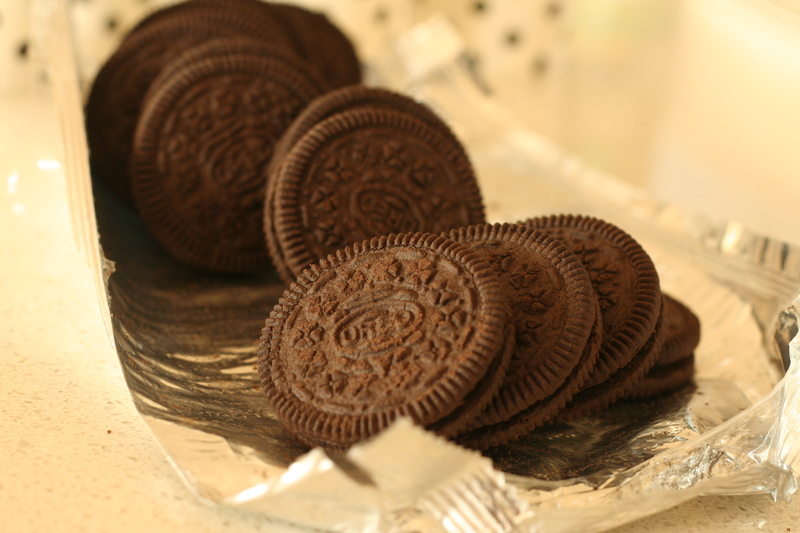 Break up half of the Oreo’s into pieces and stir through the batter. 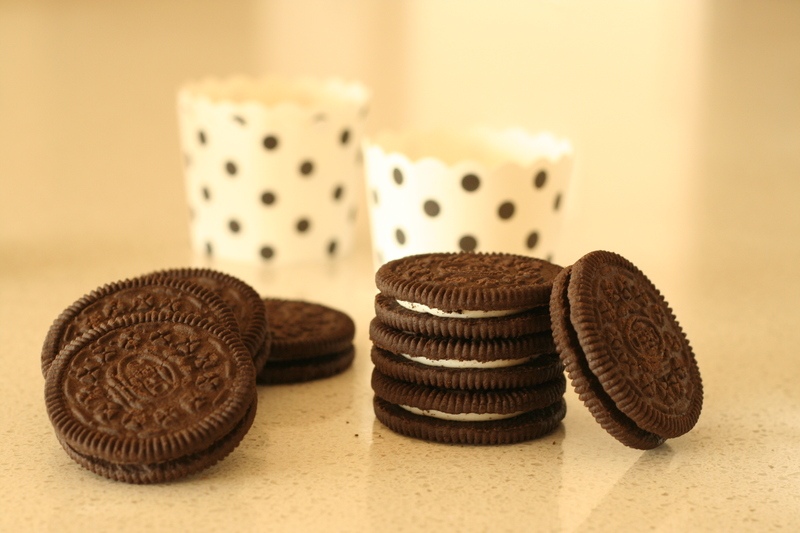 In the base of each cupcake liner place half of an Oreo (the side with the cream) then spoon over the batter until 2/3 full. Bake for 25-30 minutes or until a skewer inserted comes out clean. Allow to cool before frosting. Beat the butter with the sugar until smooth then add the milk and vanilla. Beat for at least 5 minutes of until light and fluffy. 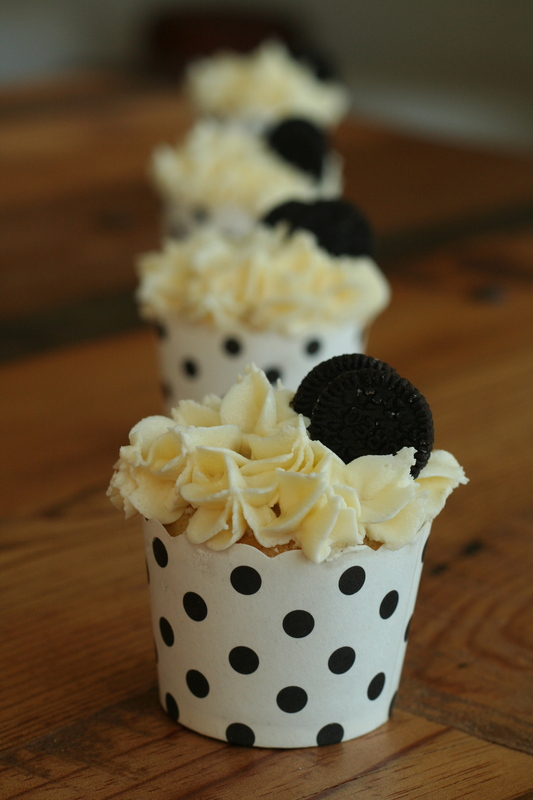 Pipe onto cupcakes then top with mini Oreo’s. These look so very pretty and tasty! Very festive! Oh my gooosh I just want to eat handfuls of those. Look amazing! I am sadly gluten free (health reasons, not my choice) but I am going to follow you anyway because these posts are so fabulous looking. You are an artist. My nursing friend is just starting her night shift cycle–she looks so tired all the time, I hope you’re hanging in there! (She even says that it messed up her eating schedule…at which point I had to intervene and shove about an entire trayful of cookies her way.) Good luck, and thanks for the gorgeous recipe! These are beautiful to look at it! (and I’m assuming beautiful to eat). 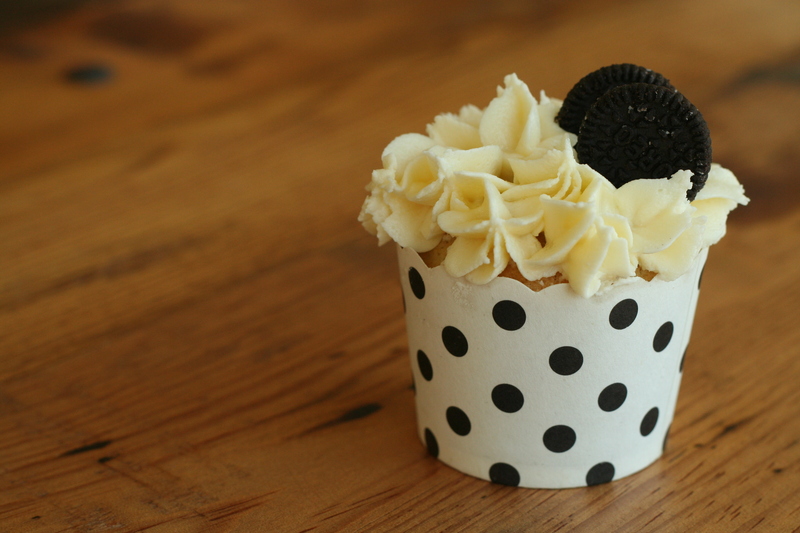 Cookies and cream is my favorite ice cream indulgence, so I’m game for it in a cupcake as well. Just gorgeous. 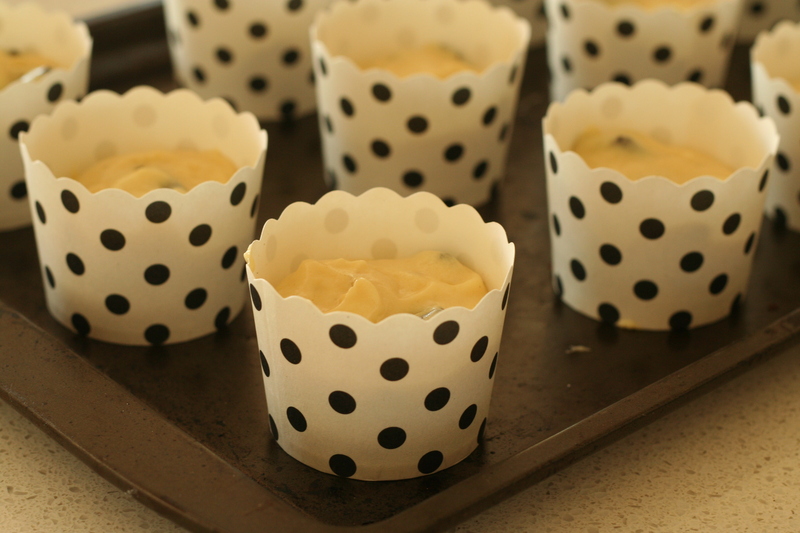 And loving the polka dot cupcake wrappers. these are so cute and I love the liners! as a student I have yet to do a night shift at the hospital, but it’s definitely not something I’m looking forward to once I start working! 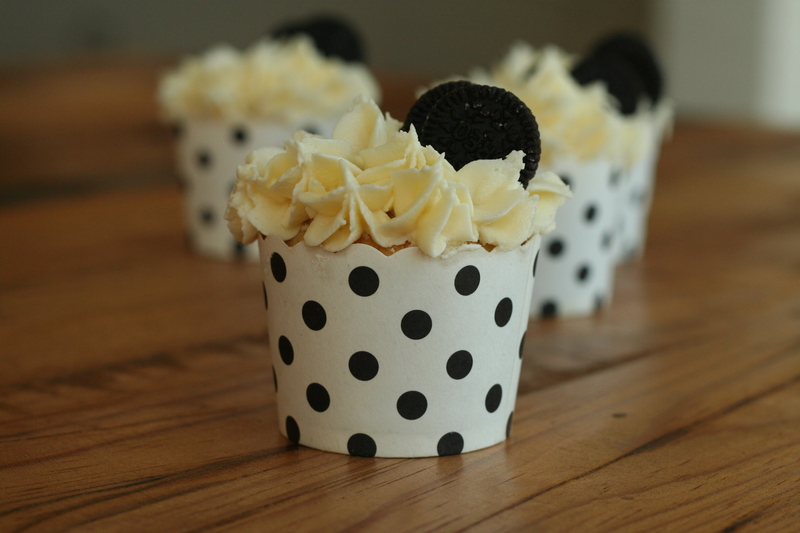 The cupcake papers are so perfect with your cookies and cream cupcakes! Color coordinated dessert!